Le Pactole | One quality, the finest. If you are a fan of French beauty products, the place to go when you are in Paris is CityPharma at the corner of rue Bonaparte and rue du Four right near St Germain des Près. The aisles are packed with top brands such as Nuxe, Caudalie, and Avène at discounted prices. Le pactole (luh paktoll) means “the jackpot.” The only problem with Citypharma is that everyone else seems to have figured out that they’ve hit the cosmetic jackpot in coming there and it is very, very crowded. Take your list, forge through it, wedge your way to the cashier, and then go to a swanky nearby café such as Les Deux Magots or Café Flore to spend your savings on an over-priced cup of coffee. 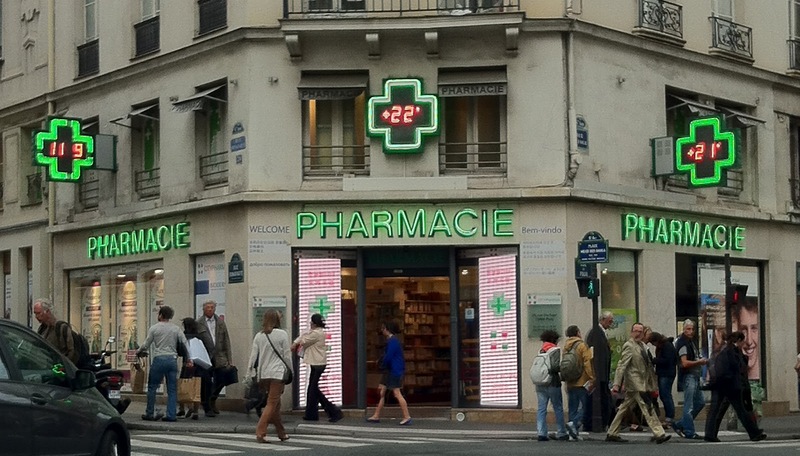 This entry was posted in Fashion, Shopping and tagged CityPharma, French beauty products, Le pactole, Paris. Bookmark the permalink.